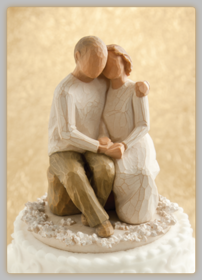 The magic of Susan Lordi�s Willow Tree collection might be most evident in her Wedding & Anniversary figurines. 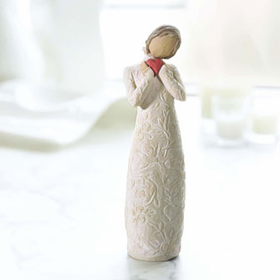 Willow Tree Wedding figures capture the emotional moments of your celebration and rejoice in your new life together. 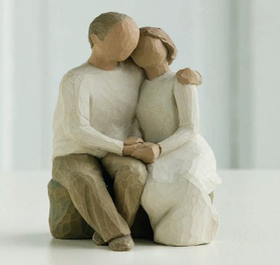 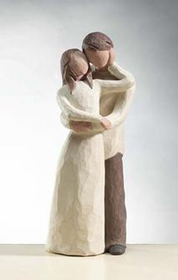 Remind your loved one of your care and concern every day with a Willow Tree Marriage statue. 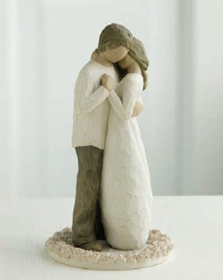 Look back on your wedding night with embracing or dancing figures, or commemorate the present with a Willow Tree Anniversary piece. 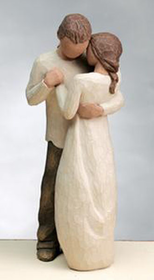 Willow Tree Marriage figurines make perfect presents for friends or family, or for husband and wife to exchange. 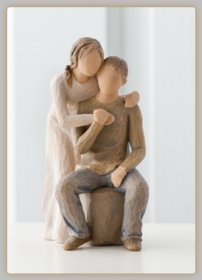 The hand-carved works of art convey the tender nature of your commitment to each other simply by their pose and their elegance. 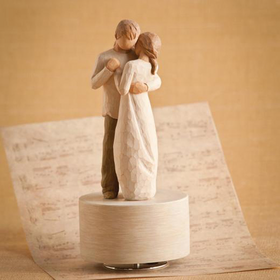 Sculptures like Willow Tree�s �Anniversary� and �Promise� are also available as cake toppers. 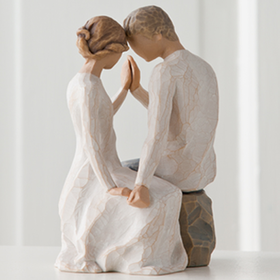 Celebrate joining your lives together, whether your marriage is about to begin or has stood strong for decades, with Willow Tree Wedding figurines from CoppinsGifts.com.